The best of the blog. Happy New Years everyone! Today we are looking back at 2017 and pulling out or best and most read content of the year to share with everyone. These are the cream of the crop, so click through and see what everyone was raving about. Enjoy! 1. Why is my car’s paint peeling? 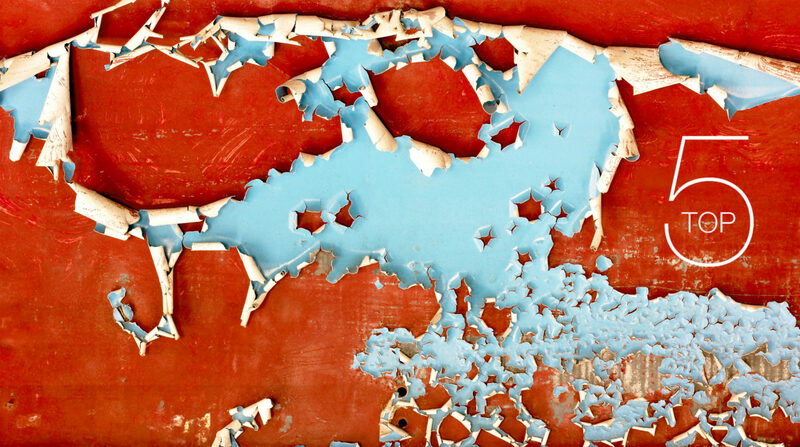 If you have a vehicle with peeling paint it can be a very frustrating thing. With modern cars, this is becoming less and less common. But, if your vehicle is from the 80’s or early 90’s, there is a pretty good chance that this could happen to you. Below we take a look at why paint peeling happens, and what we can do to help you fix it. What is the difference between Rust Proofing and Undercoating? Which one is better for the salty winter roads? We have the answers right here. 3. Why do plastic car parts fade? Faded plastic car parts are the worst. They make your vehicle look WAY older than it is and drastically affect your resale value. Is there something you can do about it? Of course there is, we walk you through the options right here. 4. Does the ocean affect my vehicle? Living on Vancouver Island is full of perks. Great beaches, amazing scenery, perfect weather, and a laid back island lifestyle. The cool breeze from the ocean gives us a climate many people would kill for, but many people wonder if there is a negative side to all of this salty crisp breeze? 5. Do some paint colours fade faster than others? Even though it seems like some vehicle paint colours fade faster than others, most notably red or black, does the scientific evidence support or contradict this claim? Let’s take a look, the results will surprise you.